Some of the surviving teenagers of the attack at Marjory Stoneman Douglas High School in Parkland, Florida, on Valentine’s Day that killed 17 people are planning a protest in Washington, DC, on March 24. But “March for Our Lives” won’t take place on the National Mall because it has already been booked for another event. Washington, DC, radio station WTOP reported the development, confirmed by the National Park Service (NPS), the entity responsible for permitting and policing events on the National Mall. 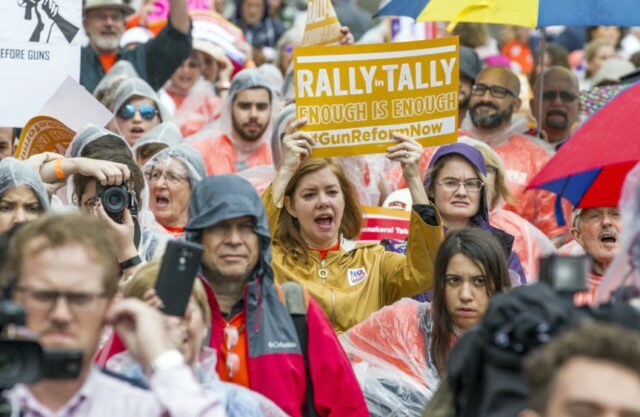 “The March for Our Lives applicants submitted a permit for an event to take place on the National Mall on March 24,” Mike Litterst, an NPS spokesman, told WTOP. Litterst said West Potomac Park is one area that might accommodate marchers. But if the area is not under NPS jurisdiction, say along Pennsylvania Avenue, for example, then the District of Columbia would be in charge, according to Litterst. The “March for Our Lives” Facebook page still lists the National Mall as the location for the protest. The group calls itself a “political organization” on Facebook. The Facebook page lists 31,000 as the number of people who have said they will be attending. Requests from Breitbart News to the NPS about what event is booked for the Mall on March 24, or to see if another venue has been picked by protest organizers, were not answered.